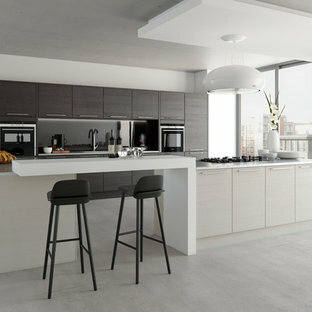 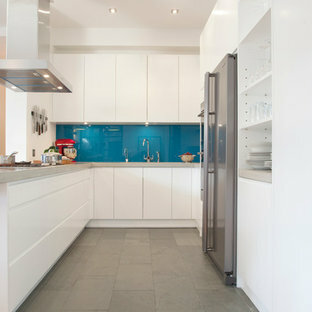 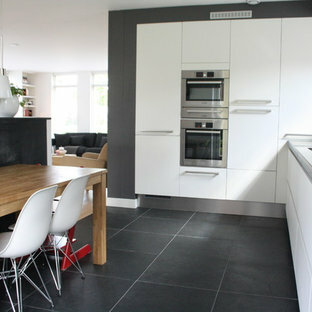 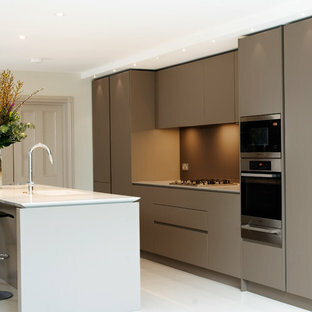 Shark is an elegant handleless kitchen which captures the essence of minimalism. 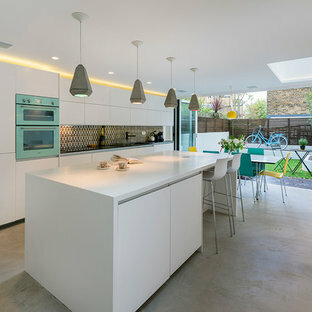 This open plan kitchen features mitred edges of the worktops and the cabinetry creates the illusion of a floating worksurface, which seems to rise and flow with a lightness of touch. 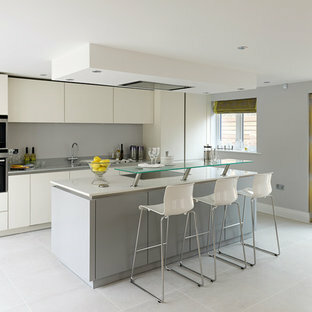 Silestone worktop with molded sink and stainless steel tap makes the island complete. 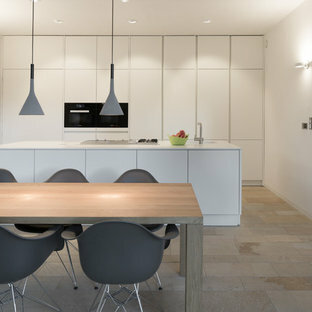 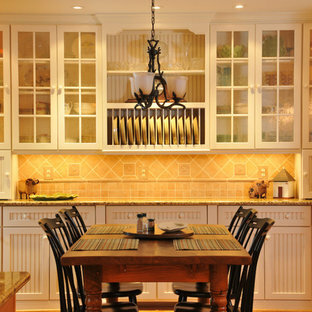 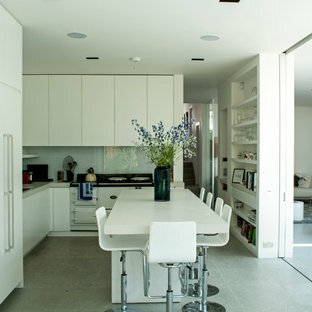 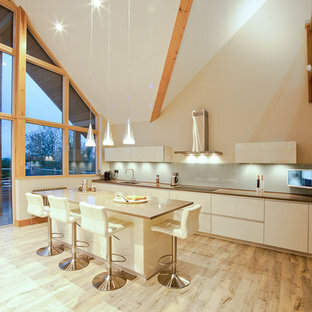 An intelligent, clean design providing practicality and light.